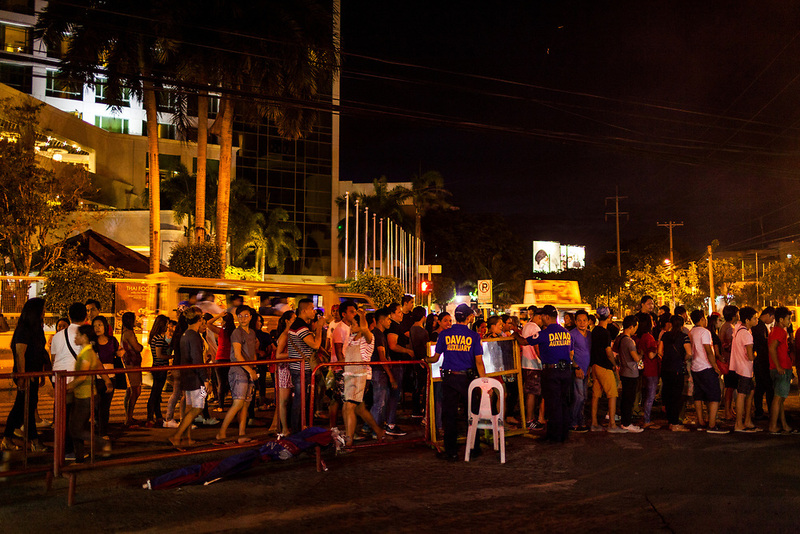 Davao City, Mindanao, Philippines - JUNE 18: Visitors queue to enter Roxas Night Market. Roxas Night Market was bombed on September 16, 2016. 14 people were killed and 70 were injured and three men who are linked to the Maute Group were arrested for the bombing.